If you're one of the thousands of people diagnosed with pericarditis each year, you might have felt like you were having a heart attack because the symptoms are similar. Pericarditis can even affect healthy young athletes and children due to a viral infection, autoimmune disease or trauma. Although the condition might keep you from exercising and training until it's cleared up, you should eventually be able to return to normal activity. The pericardium is a thin, double-layered sac on the surface of your heart filled with fluid. It serves an important function -- shielding the heart from infection or from overexpanding, but it can become inflamed and swollen, leading to a buildup of excess fluid. Symptoms include a sharp stabbing pain that might radiate into your back, neck or left shoulder; difficulty breathing when lying down; a dry cough; and anxiety or fatigue. Most cases are found in men ages 20 to 50, although it can also affect women. Treatment includes various medications that should clear up the condition, although it often recurs. An article from the Saint Louis University School of Medicine, published in "Current Sports Medicine Reports" in April 2006, recommends that athletes with pericarditis refrain from all physical exercise until tests show there's no evidence of active disease. After that time, they should be able to return to play. Dr. David Stewart, medical director at the Heart and Vascular Institute of Providence Everett Medical Center, adds that pericarditis typically takes one to three weeks to heal, although trying to exercise too soon afterward can cause a recurrence. If your pericarditis is accompanied by myocarditis, an infection of the heart muscle, it might be four to six weeks before you can begin exercising again. 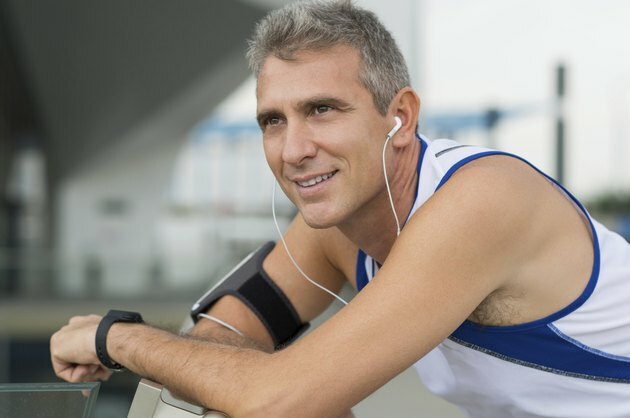 Exercise won't prevent or cure pericarditis, but it can improve your strength and endurance. Stronger muscles will help your heart use oxygen more efficiently, and the heart won't have to work as hard to pump blood. The reduced blood pressure will increase your overall health and fitness level, as well as help boost your disease-fighting immune system. Providence Health and Services: When Can I Start Exercising After Acute Pericarditis?